One of our main goals is to offer the best dental care for children. We help them develop good habits that they can maintain for the rest of their lives. It’s for that reason we make every effort to ensure our younger patients feel relaxed and comfortable every time they visit. Our patients include children as young as 3 years old. 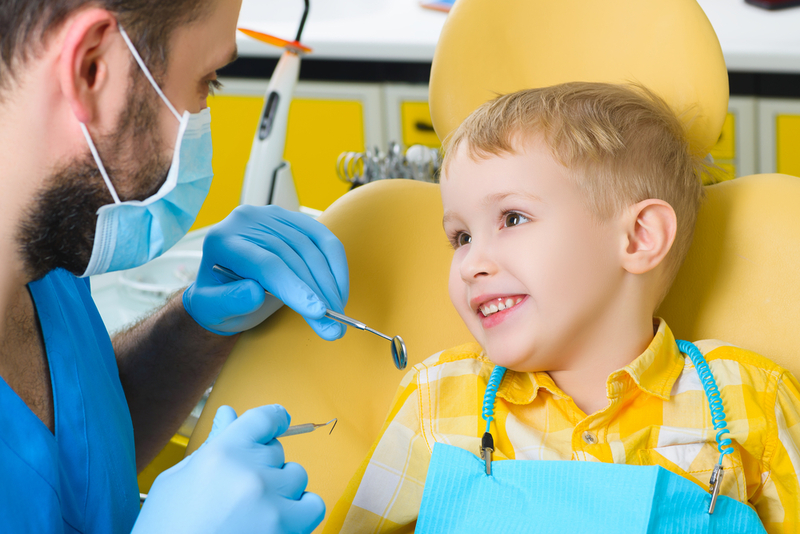 Over the years, it hasn’t escaped our attention that children don’t have as many fears over their dental care when they start seeing a dentist at a very young age. We also know that children who have become used to regular dental checkups are more apt to keep up good oral care practices even as they get older. Children who also begin to enter their adolescent age may feel anxious about the different sets of solutions required for their growing age. However, children are better able to handle these issues if they’ve started getting regular dental checkups at a very young age. Another reason why we encourage parents to bring in their young children for dental care is that it’s much more helpful when tooth problems are diagnosed as early as possible. If we see the problem early enough, then we can halt the progression of the dental condition without resorting to more serious (and costlier) solutions. In fact, a potential problem may even be prevented from coming up. When we have a more comprehensive record of dental development and care on our young patients, it helps us make informed decisions as we take a more proactive approach towards the oral health care of your children. Take the online tour of our dental office here in our website. Find other materials designed for children that can help introduce dental offices and dentists to your child. Tell stories about your own good experiences in dental offices. It helps to alleviate any concern among children (and their parents as well) when everyone knows what to expect on their first visit. issues and potential problems in the future. Our checkup will see if it’s best to administer a fluoride treatment for your child. We can assess the various habits and mannerisms of your child that can affect their dental health (such as thumb sucking). We can also teach your children how to properly brush and clean their teeth and their gums. We can then set a schedule for dental checkups that’s convenient for you and your children. Every child should learn that there’s nothing to fear when visiting their dentist. Start them young and they will thank you for it.